We’ve done more reviews of Lifetime basketball hoops than any other brand of basketball manufacturer, and for good reason. Lifetime is one of the most popular basketball manufacturers around today. Lifetime makes many models, from cheap portable systems to high-end in-ground basketball units that can handle rim rocking slams. Every Lifetime hoop is built in the USA and comes with a five year warranty providing their customers with great service and support. 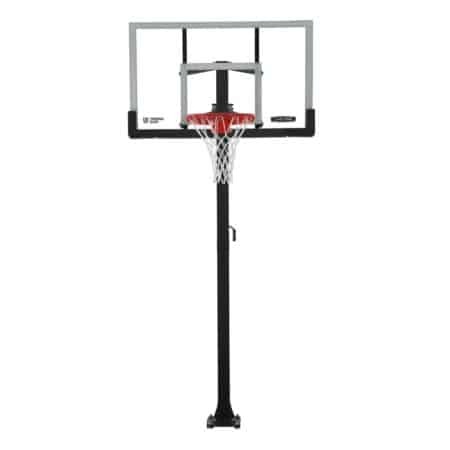 The backboard on the Lifetime 71281 In-Ground Basketball Hoop is 52 inches measured diagonally. This is a medium sized backboard for a recreational in-ground basketball hoop and will meet the needs of most families. 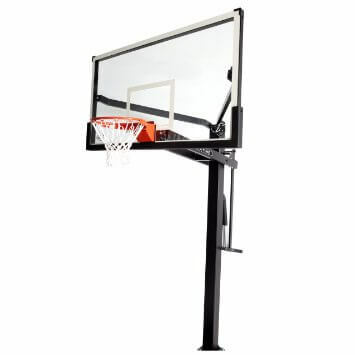 It is steel framed, which enhances the stability and durability of the backboard. Low cost home hoops like the Lifetime 71281 have a backboard that is made of a polycarbonate material. This makes the backboard durable and unlikely to break or shatter. However, polycarbonate backboards are not very responsive and do not perform particularly well during use. 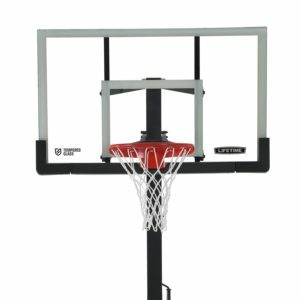 The Lifetime 71281 In-Ground Basketball Hoop features the Power Lift Height Adjustment mechanism, which makes adjusting the height of this basketball system a breeze. 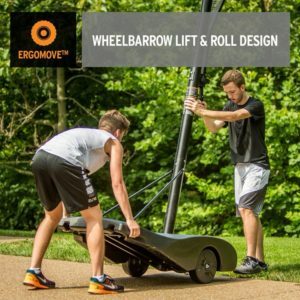 To adjust the height from the 7.5-10 feet range you simply grip the Power Lift system and lift up to adjust the height down or pull down to lift the height of the hoop higher. The leverage created by the Power Lift System makes it easy so you don’t need to be He-man to get the job done. 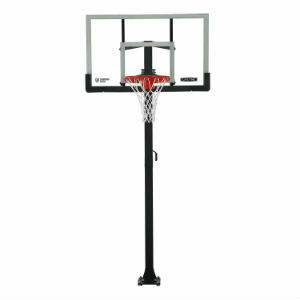 Many recreational Lifetime basketball hoops such as the 71281 have an exposed spring breakaway rim setup. This does allow for some light dunking, but we do not recommend hanging on the rim as you could cause damage to the system over time. Exposed spring breakaway rims have springs that may rust over time due to being exposed to the elements. 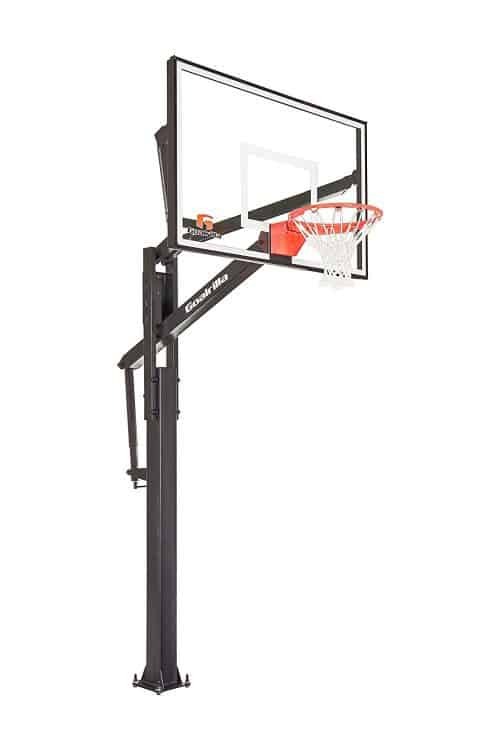 Most low-end in-ground basketball hoops have a three-piece support pole and the Lifetime 71281 is no exception. 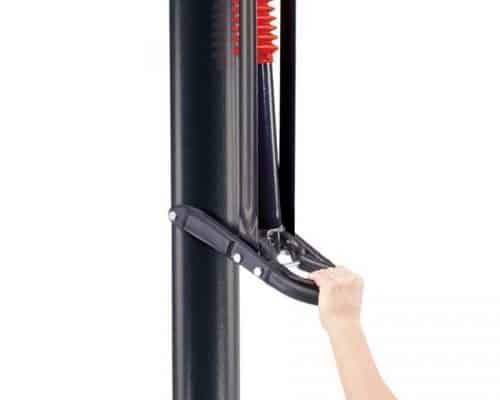 It has a three-piece rounded support pole with powder coating to help protect it from rusting. 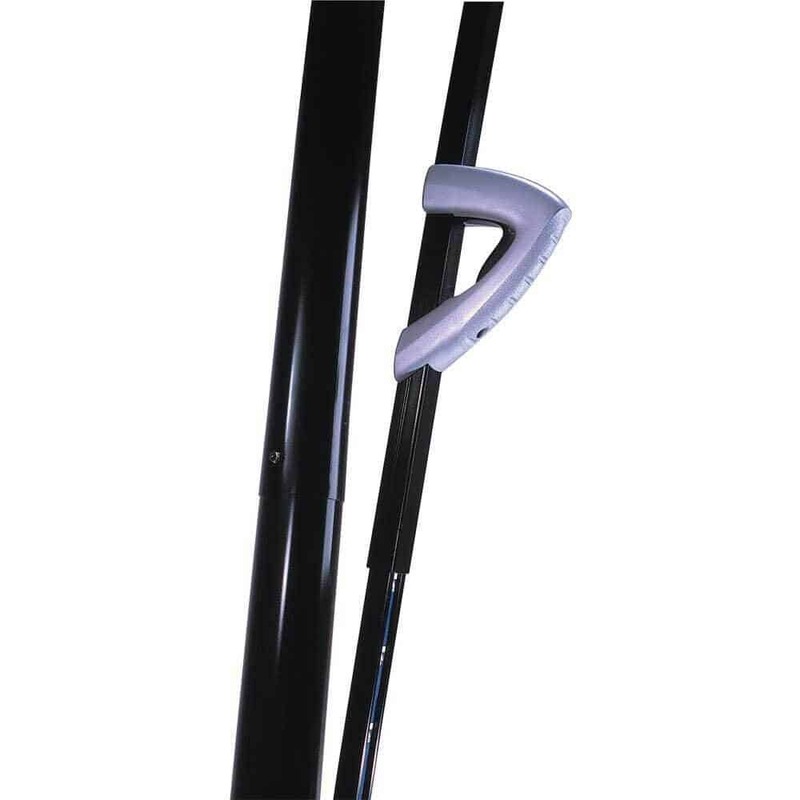 Three-piece support poles are good for recreational use but will allow for more vibration than more expensive two and one piece support pole designs. The value basketball hoop market is dominated by Lifetime. Lifetime makes a great product for a low price that simply is hard to beat. 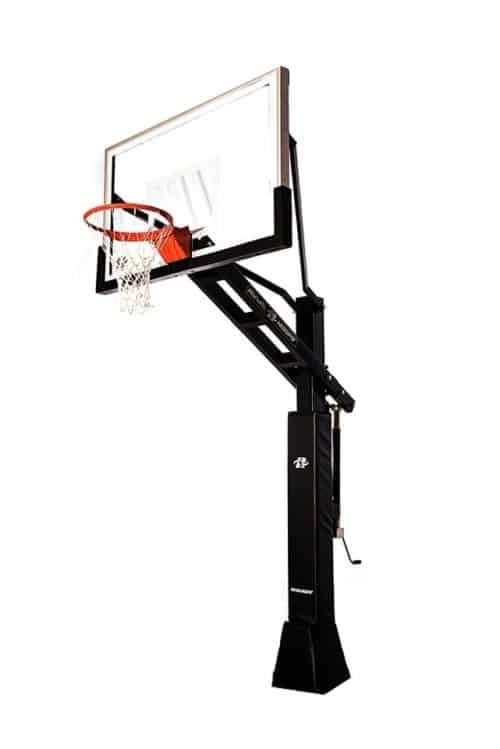 The Lifetime 7182 In-Ground Basketball Hoop is an example of this with its Power Lift Height Adjustment feature and breakaway rim. 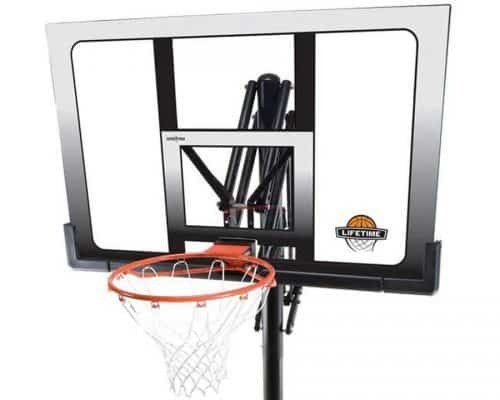 If you are truly serious about the game of basketball and don’t just want something to shoot a few baskets on then we suggest you spend a few more bucks on a better basketball hoop. The Lifetime 71281 is best suited for families who are just looking for a fun activity to do together. Competitors to the Lifetime 71281 that are worth looking into include the Lifetime 71525 and Spalding 60 Inch In-Ground Basketball Hoop. Ryval is quickly building a name for itself in the premium in-ground basketball hoop arena. We have previously reviewed the C872 model produced by Ryval and found it to be one of the best in-ground basketball hoops that money can buy. Today, we are looking at the C872 little brother, the Ryval C660. But don’t be fooled into thinking this slightly smaller Ryval hoop model doesn’t live up to the performance standard of the larger Ryval hoop. The Ryval C660 is a formidable in-ground hoop in its own right. The only significant difference between the C872 and the C660 is the size of the backboard. The Ryval C872 features a 60 inch backboard, while the C872 has a 72 inch backboard. But here is the thing, the C660’s 60 inch backboard comes with the same 1/2 inch thickness as the C872, so while smaller, the Ryval C660’s backboard performs just like its larger counterpart. With a thick tempered glass backboard the Ryval C660 performs just like a gym quality backboard when missed shots come off for rebounding. Among many other strengths this hoop has the height adjustment is among the most robust. The C660’s height adjusts from 5 feet to 10 feet in infinite increments. This allows for young hoopers building their strength to develop proper shooting mechanics. Speaking of young hoopers, Ryval shows a commitment to safety by including heavy duty padding on the C660 model. Padding can be found completely covering much of the support pole and lining the bottom of the backboard. This coupled with the 3 feet of overhang from rim to the support pole makes this a safer hoop than most. When it comes to support poles Ryval has it figured out. 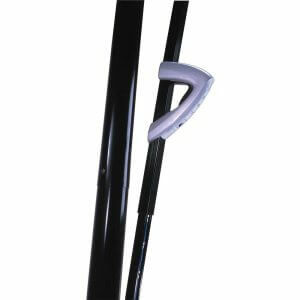 The absolute best support poles found on recreational basketball hoops are all one-piece. 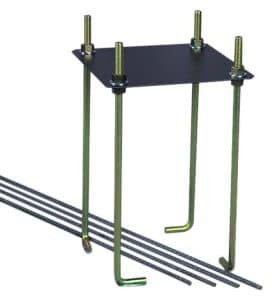 This means that the support pole is a single piece of steel, rather two or three pieces that have to be bolted together, which are found on lower quality hoops. 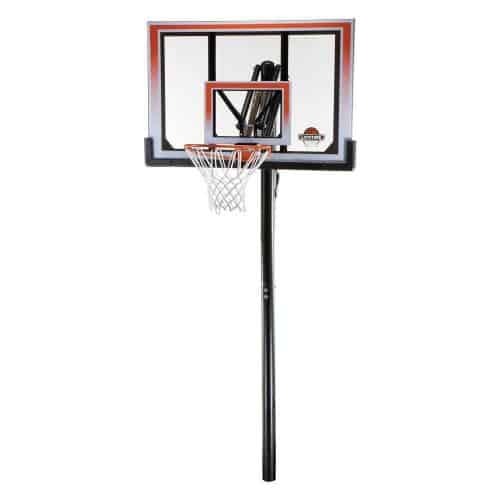 Having a single piece support pole on your basketball hoop makes it more stable during play. You won’t see the hoop vibrate violently and will handle pretty much all you can dish out with relative ease. When it comes to the rim on the Ryval C660 you can expect gym quality performance. This means the rim on this hoop will not be too stiff or floppy, providing a great feel when the ball hits the rim. Also, for those wanting to dunk on this hoop the Ryval C660’s rim will be able to take your high flying dunks without issue. This is not something we say for many other hoops we review. Ryval continues to impress us here at BestBasketballHoops.org. Their hoops are getting rave reviews from customers and the features found on their hoops are unparalleled. Not only are they making quality hoops, but they continue to expand their product lines so that there are more hoops to fit varying budgets. For most the Ryval C660 is probably a bit more than you need. The C660 is a premium quality in-ground basketball hoop that has a premium price tag. However, if you are serious about the game or have a child who really wants to commit themselves to the game, then the Ryval C660 is a great option. Rest assured it will not disappoint. While the Ryval C660 has many great features, there are other similar hoops to consider if you are in the market to buy a hoop. Some other great in-ground hoop options include the Ryval C872, Lifetime Mammoth, and Goalrilla GS-I. These days there are many different quality high-end basketball manufacturers to choose from. Some brands are well known like Spalding, Goalrilla, and Lifetime, while others are up and comers such as Hoopstar, Pro Dunk, Goalsetter, and the brand behind the C872, Ryval. Any review of the Ryval C872 starts with its 72 inch tempered glass backboard that is 1/2 inch thick. This is truly a regulation sized board with the same quality as those found in collegiate gymnasiums. Due to the quality of the backboard, the Ryval C872’s rebounding performance is spectacular. The basketball comes off the backboard with force and consistency. Safety is another strength of the Ryval C872. 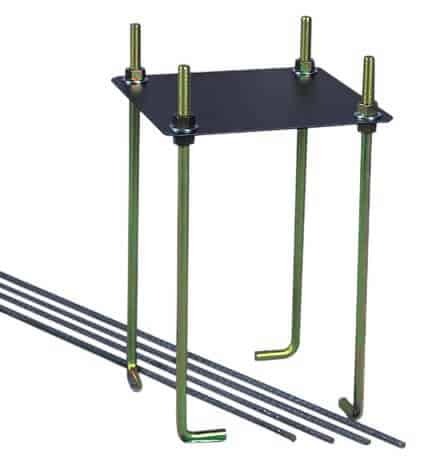 Covering both the anchor base and support pole is heavy-duty padding that comes included with the basketball system. Quality padding also aligns the bottom of the backboard to protect players’ hands and heads. Height adjustment on the C872 is controlled with the 2 FX Life Assist Cylinders that allow you to raise or lower the hoop from 5 feet to the regulation 10 feet. This is great for families with growing children who will be able to use proper mechanics on a lowered hoop as they build strength. The rim on the Ryval C872 is also top of the line. 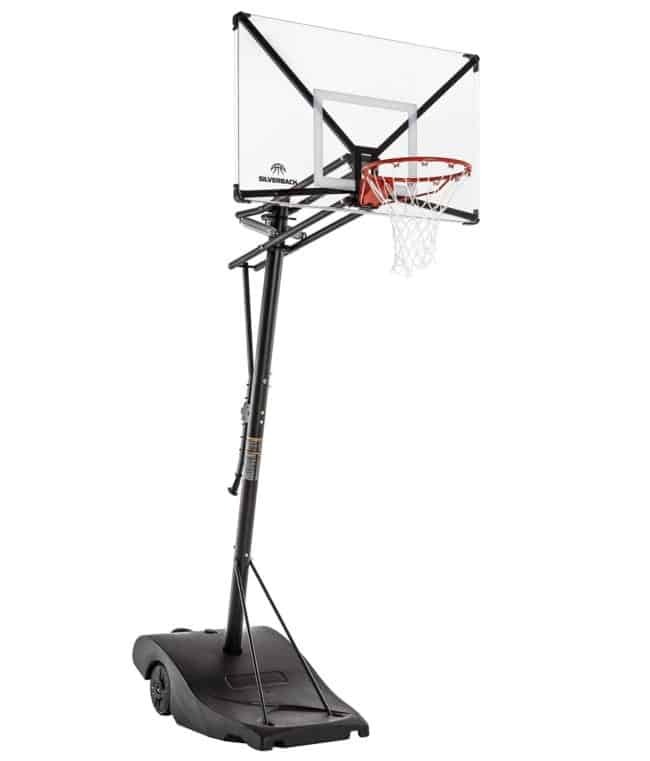 It features one horizontal spring and two vertical springs to offer maximum weight support that can handle rim rattling dunks. The springs are covered which works to minimize wear and rusting that can happen to rims exposed to the outdoor elements. When shots hit the rim it performs beautifully, remaining stable without being too rigid like double ring hoops you may remember from the playground. Make no mistake that this basketball hoop is a behemoth, and as such takes a lot of effort to assemble. If you buy this hoop please plan to have at least three people for the job. For those who are not handy consider hiring a company to do the installation for you. It will save you a lot of headaches in the end. With the increasing number of basketball hoop brands that are focused on building high-end in-ground basketball hoops it can be hard to stand out from the crowd. Ryval has done this with the C872 due to the galvanized parts and awesome safety features that comes standard with this hoop. 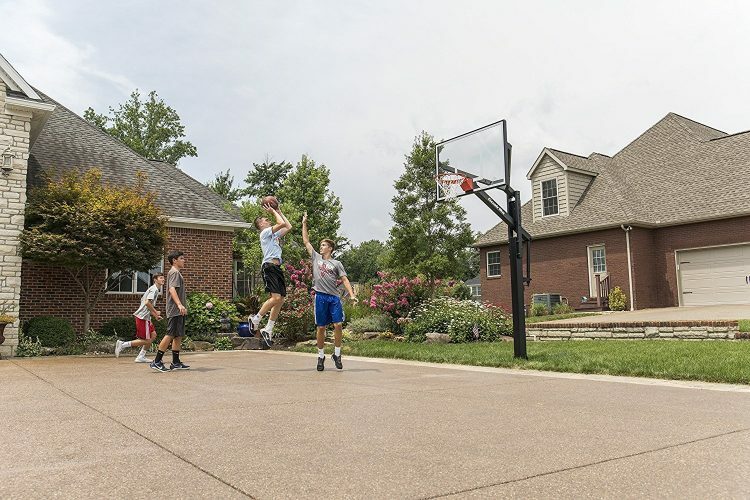 If you are serious about the game of basketball, or have a child who has a passion for the game, then it may be time to consider investing in their basketball future by picking up a high-end hoop that will last for years and years. The Ryval C872 is a great choice and would make a fine addition to your driveway or court. Competitors to the Ryval C872 that are worth looking into include the Goalsetter All-American, Lifetime Mammoth, Goalrilla GS, and the Spalding Arena View. We are really excited to bring you our review of the Lifetime Crank Adjust In-Ground Basketball Hoop. Lifetime is a company with a long history of creating good quality basketball hoops that most families can afford. The Lifetime Crank Adjust is at a price point we find appealing because it is more expensive than most low-cost value hoops, but also less expensive than the premium in-ground systems from Goalrilla and Spalding. 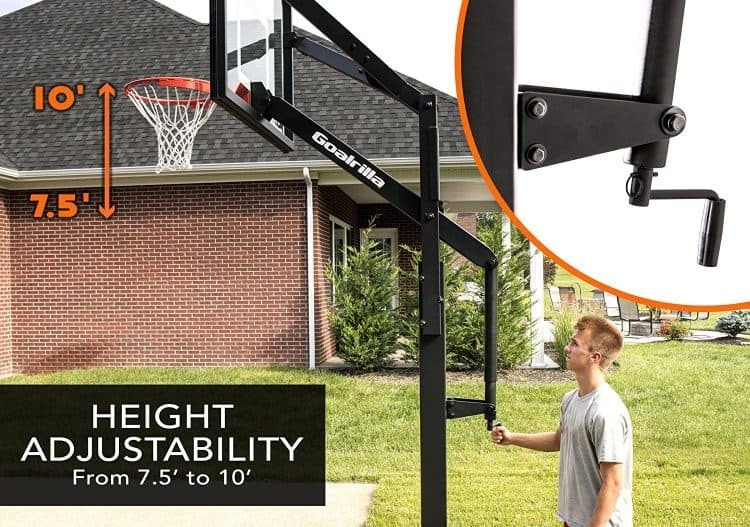 Due to this price point, we feel that this basketball hoop is great for homes where you have a serious basketball player, but don’t want to drop $1,000+ on a hoop. The Lifetime Crank Adjust has two backboard size options: 54 inches and 60 inches. The price of each ranges from about $700 to $800. 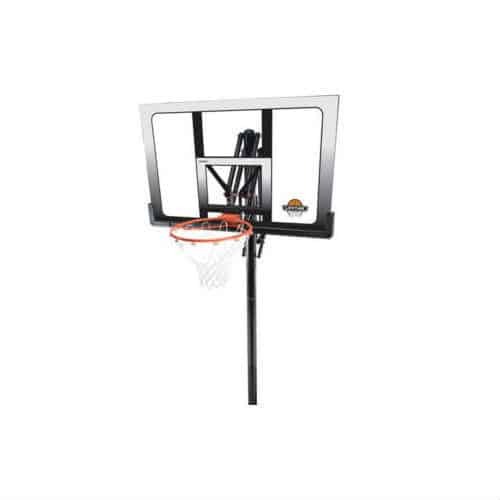 A strength of the Lifetime Crank Adjust In-Ground Basketball Hoop is that it features a tempered glass backboard on both the 54 inch and 60 inch versions. This is the best material for a backboard that money can buy. However, the tempered glass featured on this hoop is not the most thick that we’ve seen. 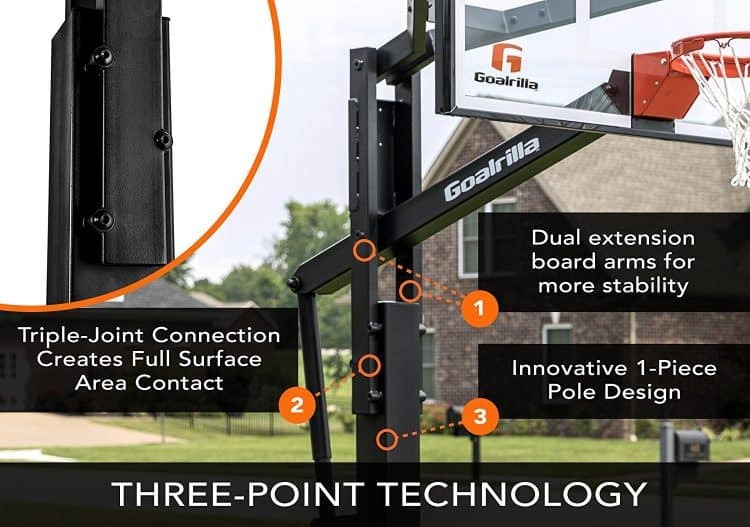 To get an in-ground basketball hoop with a thick tempered glass backboard you’d need to be looking at a hoop such as the Goalrilla GLS. Either way, for the price we like the backboard on the Lifetime Crank Adjust Hoop. Another component of this hoop we like is the rim. 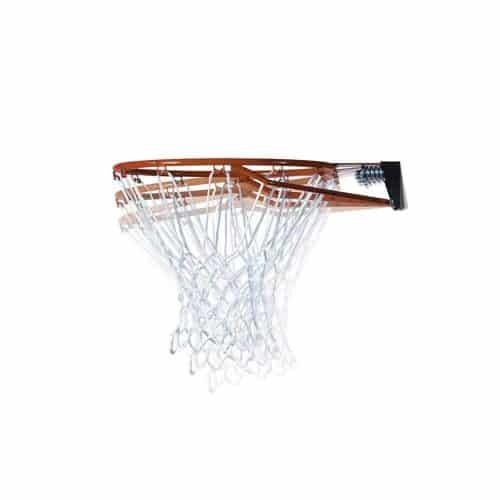 It is a quality spring loaded breakaway rim that has a cover to protect the springs from rust, and also from injuring any players attempting to dunk. 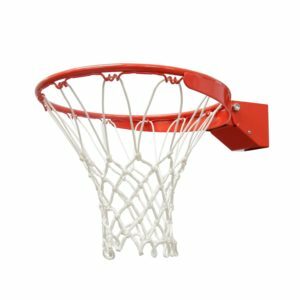 While not as heavy-duty as a breakaway rim in the gym, this basket will meet the needs of the vast majority of recreational basketball hoop buyers. The crank mechanism of the Lifetime Crank Adjust Basketball System allows owners to adjust the height of the hoop from 10 feet to 7.5 feet in infinite increments. Having a height adjustment mechanism on your hoop allows for younger players to develop proper shooting skills and mechanics so that they don’t resort to throwing the ball at the hoop. Also, lowering the hoop makes for fun activities like dunk contests. Although for this hoop we would not recommend hanging on the rim for extended periods of time due to the potential for long-term wear and damage. 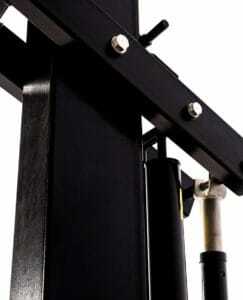 The support pole is a two-piece design that does a really nice job of minimizing excessing shaking. This support pole is 4″ squared, which is a good size to support this unit. Padding also aligns the bottom of the backboard offering enhanced safety during play, however, there is no padding included for the support pole. What a unique hoop in terms of price and performance. 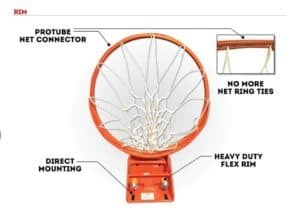 We are really glad that Lifetime has decided to make a hoop like this because we feel it fills a void in the basketball hoop market. Some other basketball hoop options in a similar price range include the Spalding 60 Inch Portable Basketball System and the Silverback SB In-Ground Hoop. When you are a player or parent who has their own dedicated court at their residence a run of the mill portable basketball hoop just will not get the job done. As you are investing in your future it is important to get a hoop that can offer years of performance as well as be able to handle tough play by some of the best players from your town. If this sounds like you, then we recommend digging deep into your pockets and getting the Pro Dunk Platinum In-Ground Basketball Hoop. While it may be expensive this basketball system will perform just like the hoop in your local gym. It is sturdy, stable, easy to adjust, and has important safety features as well. The backboard on the Pro Dunk Platinum In Ground Basketball System is truly incredible for an outdoor hoop. The tempered glass is responsive in a way that no acrylic or polycarbonate backboard can imitate. The half inch glass thickness helps to stabilize the hoop and does not get overwhelmed when the ball hits the backboard. 72 inches is the regulation size for a backboard and offers game like performance with the convenience of being right outside your door. The rim on the Pro Dunk Platinum is second to none, and that includes indoor basketball hoop rims. 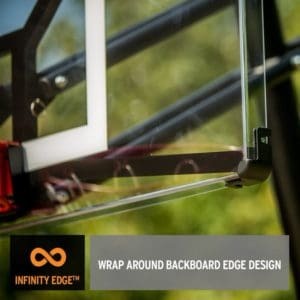 This pro quality breakaway rim will give when you hang from it so that it protects the rest of the basketball system’s structure. Due to the heavy duty nature of this rim you can feel free to hang on it with confidence. This bad boy can easily support you. Safety was also a high priority for those who designed this hoop has it features a solid hoop to base offset, as well as a healthy amount of padding. The padding aligns the bottom of the backboard which helps to protect players going up to dunks and layups. Additional padding covers up the support pole and base so that if a player runs into the support pole they are protected and the chances of injury are minimized. 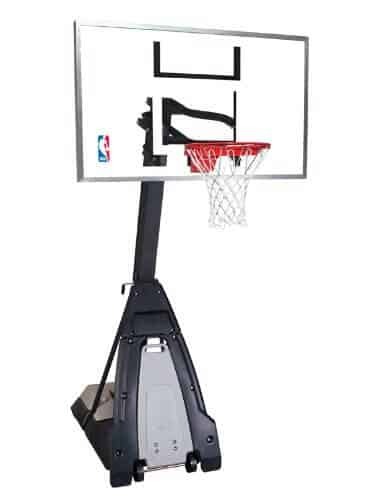 When you buy this hoop you are basically telling the world that I am serious about my game and I plan on improving by working daily on my skills. The Pro Dunk Platinum In Ground Basketball Hoop is a system that cannot be outgrown so it may be better to buy it now if you think you may want to purchase it when your young baller gets a bit older. Once you play on this hoop it will make most portable basketball systems seem like garbage by comparison. If you would like to read about some other high quality hoops, then we recommend you look into the Goalsetter All-American or the Spalding Arena View. So, you have purchased the hoop of your dreams and want to but it to good use as soon as possible. The only thing standing in your way now is the actual installation of the basketball hoop, and for those of us who are not exactly handy this can be quite the obstacle. Thankfully there are some fairly simple tips that you can follow to make the installation process as seamless as possible so that you can get to the fun of playing on your hoop. Most lower to mid-priced in ground basketball hoops have a support system that is placed directly in the ground. This means that moving the hoop at a later date is likely not going to be an option. If you have a higher-priced hoop then it may allow you to utilize anchor system kits that make the hoop more transportable if you ever decide to change the hoop’s location or move. However, even if your basketball hoop is installed with an anchor kit moving the hoop is still anything but easy. As you can see planning out exactly where you want to place the basketball system is a critical decision that should be made with care knowing that you will likely have to live with your decision for the life of the hoop. Dads, please listen closely. We all know that you want to impress the wife and kids with your impeccable lifting abilities and craftsmanship. But let’s get things straight. The days of max bench presses and suicide sprints are over which has left you a little softer through the years. The last thing we want for you is to pull out your back in a futile attempt to be dad of the year. This is not to say that there are many dads out there that have the tools ready and are equipped to do the job of a basketball hoop install without major issue. What we are saying is be honest with yourself in regard to whether or not you fit into this category. If you find the install process overwhelming, all is not lost. You can actually hire a professional basketball hoop installer directly from Amazon (Check it out). Each installer has their own pricing so it is important to do your research when selecting someone to install your hoop. The nice thing is that by hiring someone you get to bypass all the headaches and allow a professional who has the proper equipment and know how to take on the heavy lifting. If you think that installing a basketball hoop is a one man job then think again. To have a good experience and for the install to go as planned please get help from at least one if not two individuals. This can make any lifting tasks easier and will minimize the risk that you will set the hoop crooked or any other mishaps that may occur due to not having enough help. Also, don’t be cheap, if you have friends help you out some beers and a pizza will go a long way! I hate to keep beating up on the dads (and men in general), but please be sure to carefully follow the directions when installing your basketball hoop. As a part of the man clan, I am guilty of quickly tossing the directions to the side a saying “I can figure this out, just a little trial and error.” Well, that might work for a remote-controlled helicopter, but for a basketball hoop that weighs hundreds of pounds with many screws and moving parts it just will not end up pretty. Often you will miss steps in the assembly process that will leave your hoop looking funky and not performing properly. It is easy to get frustrated when assembling and installing something as big and heavy as a basketball hoop. Be sure not to let your emotions get the best of you and remain calm during process. If you find that you screwed up something in the assembly it may be wise to take a break and come back to it so you feel mentally refreshed and ready to tackle the challenge of figuring out what you did wrong. Just five minutes of introspection will help clear your mind and will often lead to your figuring out the problem. As with all Lifetime products, their goal is to bring you a solid product of high quality that is affordable and built for long lasting use. 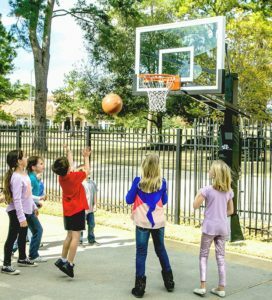 The Lifetime 71799 In-Ground Basketball System follows suite by giving you a ton of great features at a family friendly price point. Some other hoops that the Lifetime 71799 hoop is comparable to include the Lifetime 71525 Portable Basketball Hoop and the Spalding Pro Slam Basketball System, which are both priced comparably and have many of the same characteristics as the 71799. First, let’s take a closer look at some of the features that make the Lifetime 71799 Basketball System special. 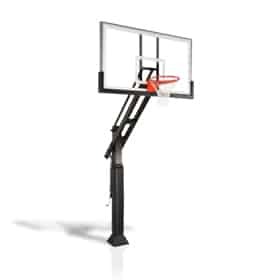 The rim on this hoop is high quality and has two compression springs to support shots and rim rocking dunks. Unfortunately, there is no cover over these springs which could leave them susceptible to rusting over time. 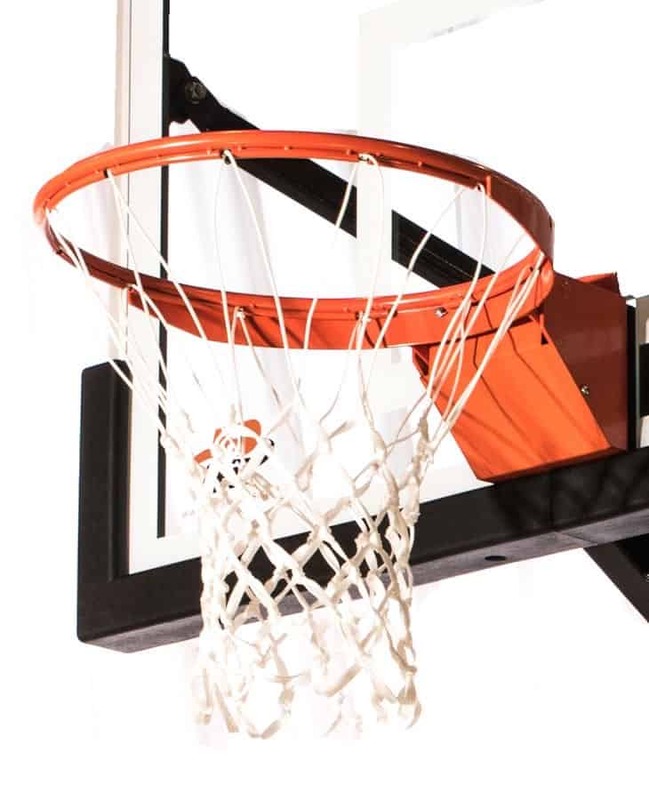 While this is a spring loaded rim that will give when dunking, we would not recommend hanging on the rim of this hoop as it is designed more for recreational play rather than a gym quality system that is heavy-duty. The action-grip pole for height adjusting is another fantastic innovation from Lifetime to make the game more accessible for youngsters wanting to work on their shooting skills. The six inch height adjustment increments that are available are not as specific as the infinite increments of more expensive units, but it will suffice for the majority of families. The 71799 Lifetime Basketball Hoop also has a 50 inch backboard made of Makrolon Polycarbonate material. This material is nearly unbreakable, which is great for families with kids who like rough housing and may not always treat the hoop with dignity. 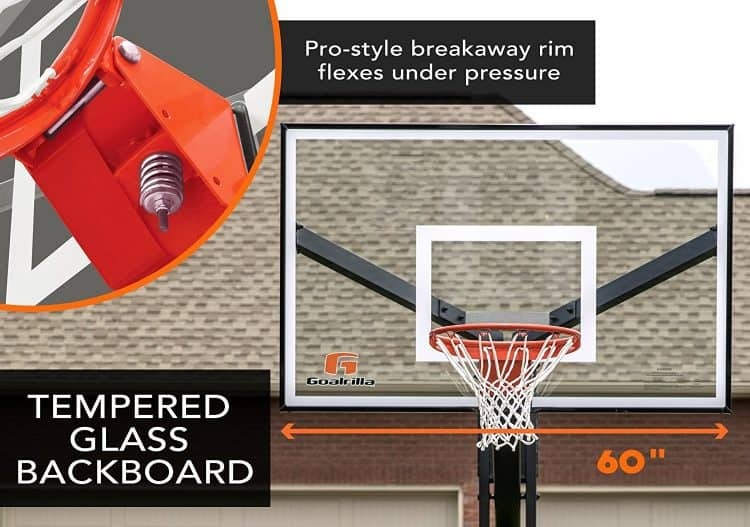 On the flip side most polycarbonate backboards simply will not perform at a level even close to that of a tempered glass backboard like the one featured on the Goalsetter All-American Basketball Hoop. 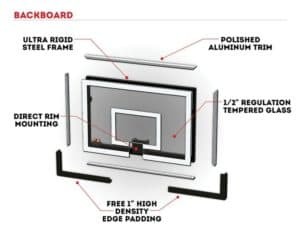 The backboard quality simply comes down to how much you are willing to pay for your home basketball system. Height adjustment system adjusts only in increments of six inches rather than infinite increments seen on more expensive hoops. 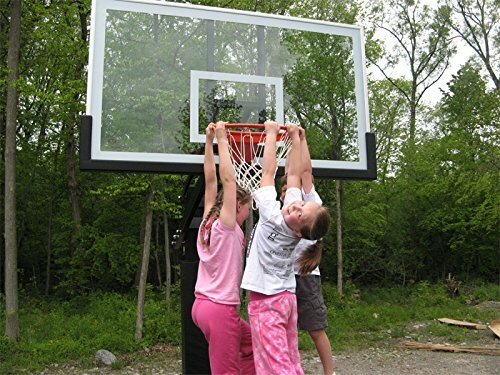 To summarize our views on the Lifetime 71799 Hoop, we feel that this system is a great choice for families who are looking for an inexpensive in-ground basketball system that can take reasonable wear and tear. However, for those who are more serious about the game and want their family members to play on top quality hoops we would suggest looking at the Goalsetter All-American or the Silverback SB-60, which are a step above in quality and price.